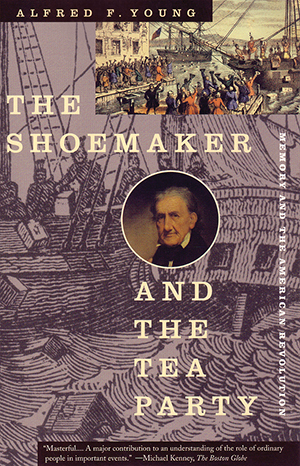 George Robert Twelves Hewes, a Boston shoemaker who participated in such key events of the American Revolution as the Boston Massacre and the Tea Party, might have been lost to history if not for his longevity and the historical mood of the 1830’s. When the Tea Party became a leading symbol of the Revolutionary era fifty years after the actual event, this ’common man’ in his nineties was ’discovered’ and celebrated in Boston as a national hero. Young pieces together this extraordinary tale, adding new insights about the role that individual and collective memory play in shaping our understanding of history.